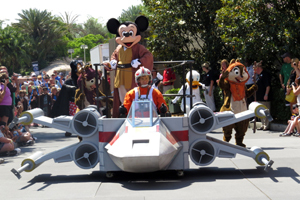 Star Wars Weekends 2013 at Disney’s Hollywood Studios is in full swing, kicking off on Friday with Jedi Mickey leading the Legends of the Force Celebrity Motorcade (below, left). 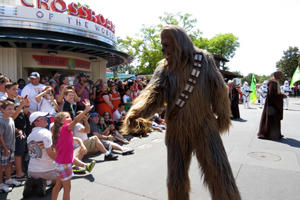 Chewbacca (below, right) was in top form, showing off his dance moves along the parade route! 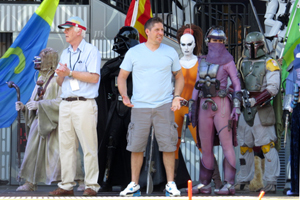 Actor Ray Park (Darth Maul) gives a thumbs up to the crowd (below, left). 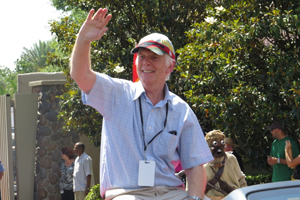 Jeremy Bulloch (Boba Fett) waves from his car (below, right). 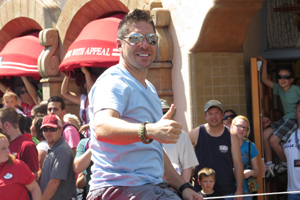 Ray Park hosts the tremendously popular “Visit to the Maul” show! Darth Vader (below, left) must have been hot in the near 90 degree heat! 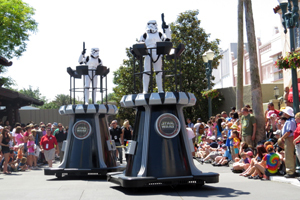 The Stormtroopers that have been at the entrance are this year on moving floats, traveling up and down the street (below, right). Video #1 – Legends Of The Force Celebrity Motorcade – Star Wars Weekends 2013, Disney’s Hollywood Studios – This is the Legends of the Force Celebrity Motorcade, led by Jedi Mickey! 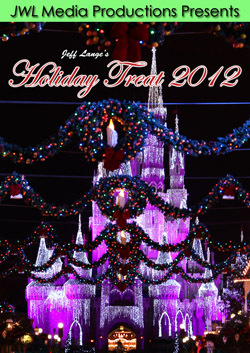 The celebrities in this parade are Ashley Eckstein, James Arnold Taylor, Jeremy Bulloch, Ray Park and Dee Bradley Bakery. We always follow directly behind the motorcade to the celebrity welcome (below, left). The motorcade used to travel down to where the Jedi Training Academy is, but now stops at the Sorcerer’s Hat stage. 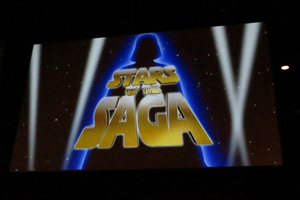 Jeremy Bulloch and Ray Park hang out with a cast of Star Wars characters! Video #2 – Star Wars Weekends 2013 Celebrity Welcome w/ James Arnold Taylor, Jeremy Bulloch, Ray Park – Star Wars Weekends 2013 Opening Day Celebrity Welcome with host James Arnold Taylor, Jeremy Bulloch, Ray Park, Ashley Eckstein, Dee Bradley Baker plus all your favorite Star Wars characters! We don’t remember such a long line for Stars of the Saga (below, left) an hour ahead of time. 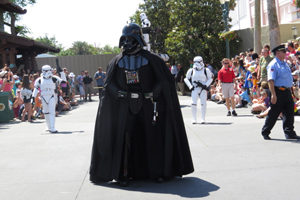 Star Wars Weekends seems more popular than ever this year! 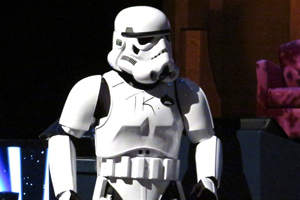 Our favorite part of the show is the Stormtrooper skit (below, right). Every year, a Stormtrooper ends up destroyed. 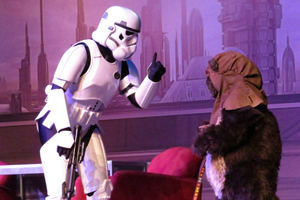 This year, it was death by Ewok (below, left), which he had on a leash and thought he’d keep as a pet. 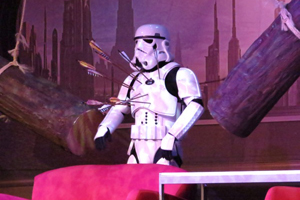 The stormtrooper didn’t fare too well once shot by arrows and hit by logs (below, right). 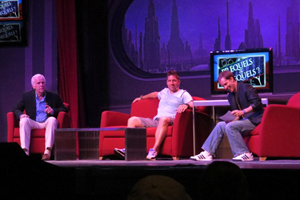 Stars of the Saga brought together Jeremy Bulloch, Ray Park and host James Arnold Taylor (below, left). 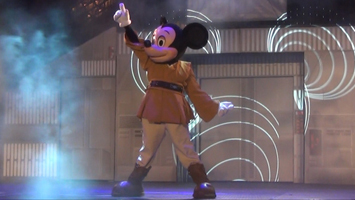 There usually is a question and answer session, but this time there was trivia called “Sequels or Prequels?” After the trivia, Jedi Mickey came out onto the stage for the goodbye song (below, right). 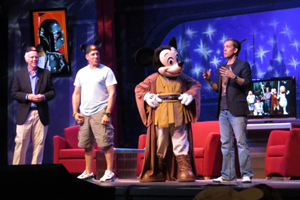 Video #4 – Star Wars Weekends Stars of the Saga Sing Along 2013 w/ Jedi Mickey, James Arnold Taylor – Jedi Mickey Mouse joins James Arnold Taylor, Ray Park and Jeremy Bulloch on stage at Star Wars Weekends for the Mickey Mouse Club Sing-Along Finale! 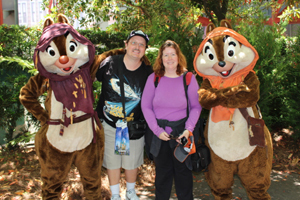 One of the highlights of Star Wars Weekends 2013 is Chip and Dale dressed as Ewoks for the first time (below, left). The line was about a half hour, but we thought it was worth it (below, right). 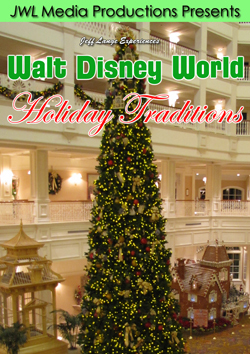 There was a lot of excitement when guests met them! 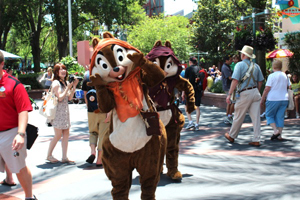 Video #5 – Chip and Dale as Ewoks at Star Wars Weekends 2013, Walt Disney World, Disney’s Hollywood Studios – Chip and Dale are greeting guests as Ewoks for Star Wars Weekends 2013! Denise meets them here (Jeff lost his voice and didn’t talk with them). 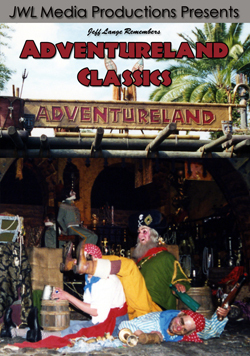 This is at Disney’s Hollywood Studios at Walt Disney World. I waited with friends for over 3 1/2 hours in a front row spot for the Hyperspace Hoopla, hosted by Snig and Oopla (below, left). 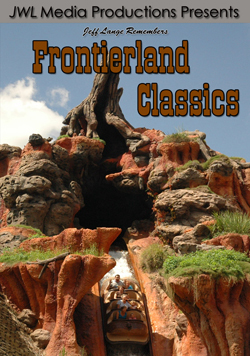 Denise spent the Hoopla in back of the Sorcerer Hat, taking photos and video of the characters. 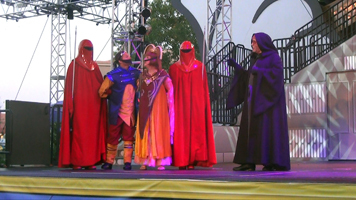 Padme, Chewbacca, Slave Leia and other characters take to the stage during the Dance-Off (below, right). 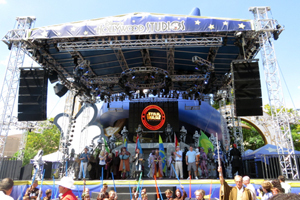 Everyone takes to the stage during the finale of Hyperspace Hoopla (below, left) – but there was a surprise, as Jedi Mickey appeared (below, right). 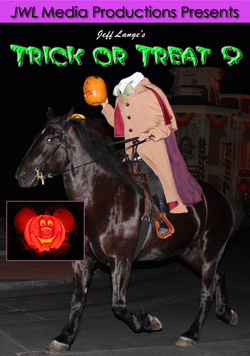 This year’s Hyperspace Hoopla is 40 minutes long, and not to be missed! 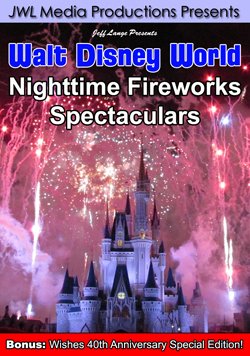 Video #6 – Hyperspace Hoopla 2013 Full Show, Front Row, Dance-Off With The Star Wars Stars, Walt Disney World – This is the 2013 Hyperspace Hoopla from Star Wars Weekends at Disney’s Hollywood Studios featuring the very popular Dance-Off With The Star Wars Stars! 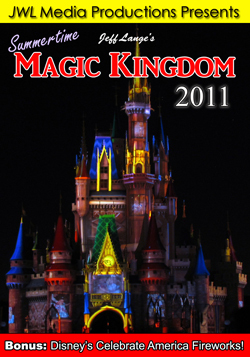 – Full show, recorded from the Front Row! This Year’s Dance-Off Theme is “30 Years Of Music”. Celebrate spring at one of Disney’s most anticipated events of the year: The Epcot International Flower and Garden Festival 2013.